Ong posing with Ahmad Fauzee (third left) and SK Matang Jaya team (centre) and other winners after the prize presentation. Best bowlers in the primary schools section Danyiella Halleana and Jarvis Ting posing with Ong. Winners of Teacher Instructor category Ruhana Bujang and Abd Amir Abd Rikah posing with Ong. 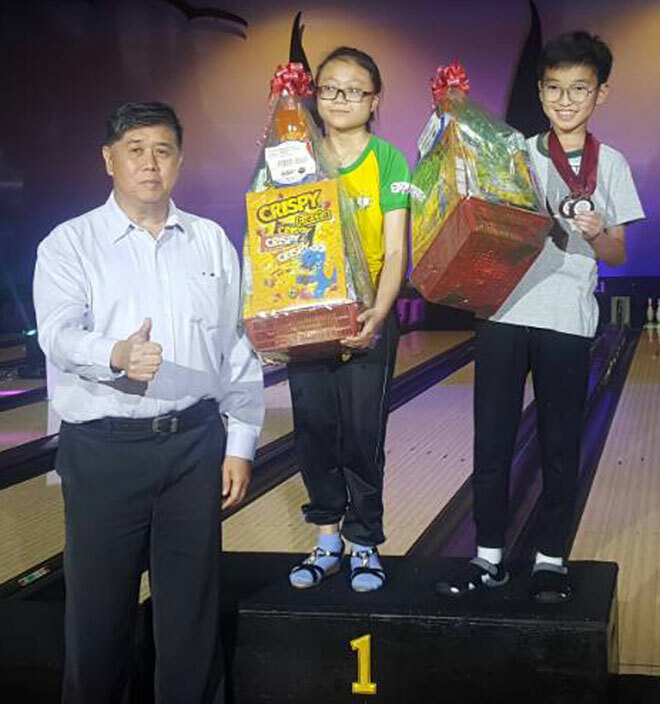 KUCHING: SK Matang Jaya and SMK St Joseph emerged team champions in the primary schools and secondary schools categories in the Schools Tenpin Bowling Programme 2017-2027 inter-schools bowling tournament at Megalanes Sarawak, Batu Kawa last Saturday. SK Matang Jaya, represented by Adly Azamin, Abg Muhd Fauzan, Cornelius Aldhelm, Mirza Irfan, Clarence Miler and teacher instructor Ahmad Fauzee Abd Rahman, felled 546 pins to finish top in the primary schools team event. In second place were SK Semerah Padi (Muhd Nor Hakimi Abdullah Mansor, Mohd Mohiddin Ishak, Abg Haris Syzwan, Mohd Irfan Daniel Yusuf and Hatta Anand Kamal) with 450 pinfalls while St Joseph’s Private School (Primary)’s Jarvis Ting, Zacchaeus Joseph Lai, Marcus Jimok, Gerald Tan Woon Heng, Elaijah Yeo and Jesse Madigen Nyahun claimed the third place with 441 pinfalls. Jarvis also won the Best Boy award with his score of 163 pins and the Best Girl bowler was Danyiella Halleana of SK Garland. 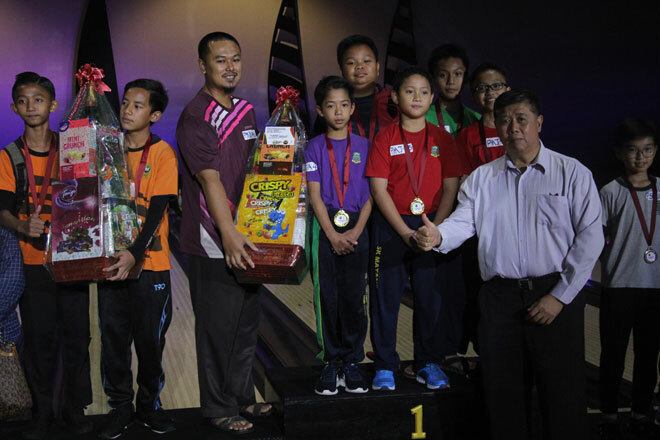 In the secondary schools section, Zafrul Zidane Zafrullah, Muhd Aneiq Daryll Muhammad Idari, Nicholson Ryan Nabau, Muhd Aniq Zulhilmi, Mohd Ikhwan Syaffriei Mohd Faizul and Nur Fazlan Ali Nahas of SMK St Joseph knocked down 819 pins to finishi in first place. Second were SMK Demak Baru’s Azeera Jalani, Siti Hamidah Sabri, Nur Syafiqah Mohamad, Aleeya Farhana Shahrizan, Nelson Donny Sunny and Ruhana Bujang who accumulated 627 pinfalls. The third placing was won by SMK Agama Tun Ahmad Zaidi A (Nur Shasya Nazira Sazali, Muhd Ismat Imran Kamaluddin, Noor Aliyah Aziezie, Luqman Arsyad Ibrahim, Muhd Aafii Hilmi Jamaluddin and Siti Noor Faezah Mohamad whose score was 603 pinfalls. 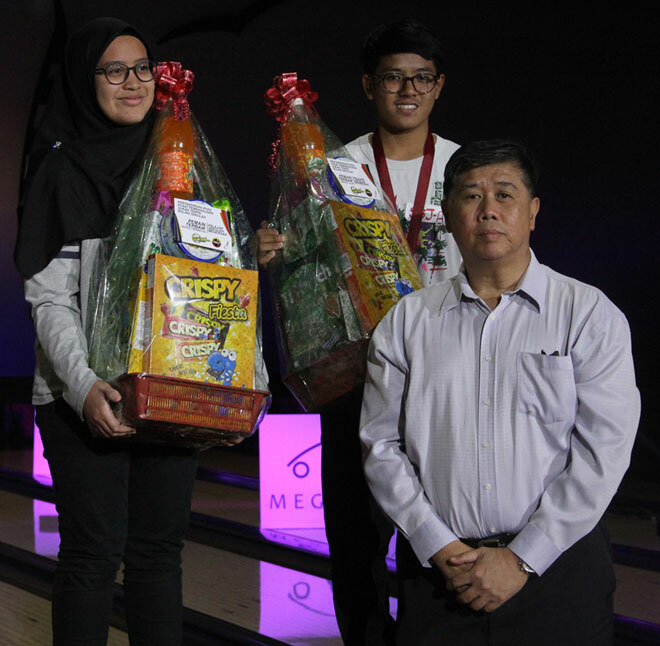 Zafrul Zidane (SMK St Joseph) was named the Best Boy bowler with 173 pinfalls and the Best Girl Bowler was Nur Shasya (SMK Agama Tun Ahmad Zaidi A) with 165 pinfalls. Meanwhile, Abd Amir Abd Rikah won the men’s Teacher Instructor title with 157 pinfalls and Ruhana Bujang was the winner of the women’s Teacher Instructor title with 122 pinfalls. Sarawak Sports Corporation CEO Dr Ong Kong Swee, who is also director of MSNS, gave away the prizes. The event jointly organised by Amateur Tenpin Bowling Association of Sarawak (Abas) and Megalanes Sarawak with support from the Sarawak State Sports Council (MSNS) was part of the Schools Tenpin Bowling Programme 2017-2027 to unearth more talents and build a bigger base of young bowling talents at grass roots level. Programme coordinator Robert Lu said the programme was still at its infancy stage and he was very happy to see that the teachers were very committed to this programme. “We can see for ourselves that more and more students are taking up the sport. “Our Tourism, Arts, Culture, Youth and Sports Minister Datuk Abdul Karim Rahman Hamzah also mentioned that he is happy to see that Abas are heading the right direction,” he added.